Luxury villa in the center of Limassol with 5 bedrooms. A large swimming pool, three parking spaces, separate storage, automatic garden watering system, central heating. The villa is located near the main street of Makarios Avenue and store Debenh.. Fully furnished luxury villa is located opposite the Hotel Four Seasons, in a quiet complex. The villa has 3 bedrooms, 3 bathrooms, fully equipped kitchen, beautifully furnished dining room and a living room with a large TV. The house has air cond.. The villa is located in Limassol, near Germasogeia, just a few minutes drive from the city center and the waterfront. The villa is fully equipped with new and expensive furniture. During the construction of the most modern and high quality materia.. Exclusively and individually designed villa, built to the highest specifications and set in secluded and natural surroundings offering stunning views of the Mediterranean blue sea. Set on a hillside on the eastern fringes of Germasoyia&n.. Luxury villa in Limassol with panoramic views of the city and the sea. High quality construction and finishes. Elevator, panels for water heating, central heating, sauna, fireplace, installed security system, smart home. A barbecue area and a larg..
New luxury villa with 6 bedrooms for sale in Limassol. Six spacious bedrooms, a sauna, an indoor garage for 3 cars, storage room, dressing rooms, heated pool, separate BBQ area, large covered veranda. The villa consists of three levels, all three .. 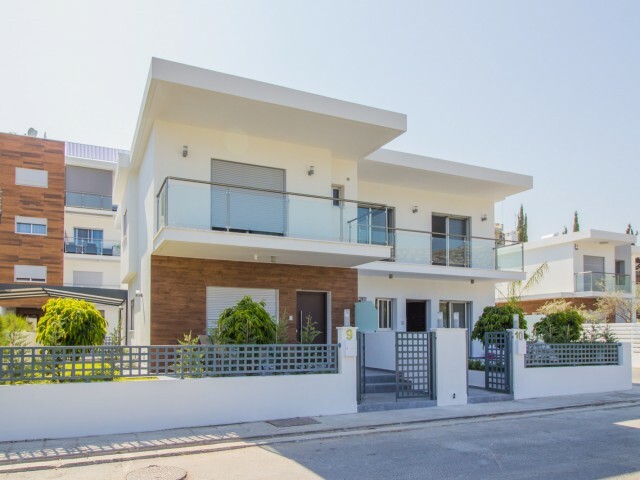 Luxury 4 bedroom villa in Limassol, Agios Athanasios area. Stylish and modern design, expensive Italian furniture. Basement with a separate room for the staff. Large swimming pool, garden with fruit trees. Central heating, air-conditioning system .. 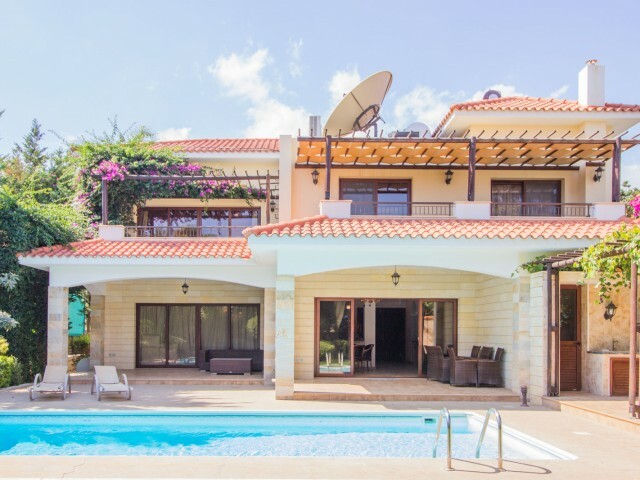 Luxury villa in Limassol, with 4 bedrooms, each bedroom has a bathroom and a terrace, a dressing room and a panoramic view of the Mediterranean Sea. Private room for staff. Two swimming pools, one outdoor with bar table and chairs, a second indoor..